A woman in the far east of Russia has told the BBC she recognises one of the key suspects in the Salisbury attack as a military intelligence officer. 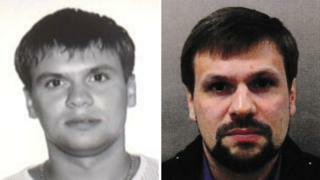 The woman identified him immediately from photographs as Anatoliy Chepiga, a decorated "Hero of Russia". Her assertion supports research by the Bellingcat online investigations team, which also identified Col Chepiga as one of the Salisbury suspects. The man told Russian state TV he was Ruslan Boshirov, a civilian. The BBC understands that British officials do not dispute the findings by Bellingcat. British police believe the suspects were not using their real names. Russia denies any involvement in the Novichok nerve agent attack, in which former Russian spy Sergei Skripal and his daughter were poisoned on 4 March. A BBC team travelled some 5,000 miles east of Moscow to the village of Beryozovka, where Anatoliy Chepiga grew up, close to Russia's border with China. 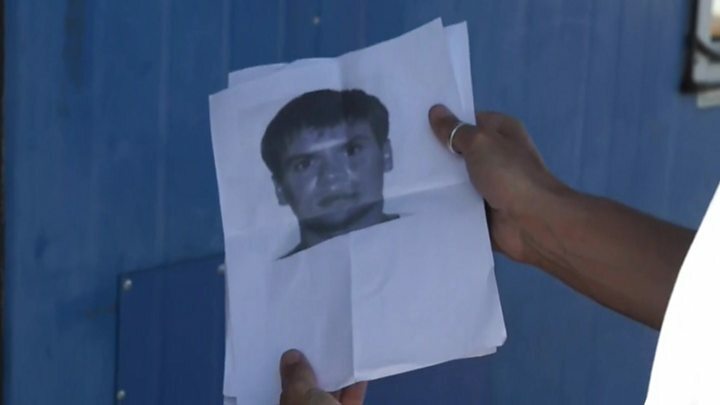 There, a woman identified a young Anatoliy in the photographs discovered and published by Bellingcat. She then confirmed that a mugshot released by British police of "Ruslan Boshirov" was also Col Chepiga. "I know where his parents used to live, that he was a military man. An officer. He fought in war zones, then he was in Moscow," she told the BBC - the first foreign journalists to visit since the Bellingcat report. Nervous about speaking, she asked to remain anonymous, but said she had seen Col Chepiga as an adult, with his child, and she was sure he and "Boshirov" were one and the same. Locals say the family moved out of Beryozovka several years ago. While Col Chepiga's parents were well known, he was not a regular visitor himself as an adult. Many residents had no idea what he looked like. Not all had heard of the Salisbury poisoning. One man who had, and studied with Anatoliy Chepiga at the village school, swore at the BBC team and claimed the allegations were false. He instructed another local not to talk to journalists. An elderly woman, speaking only through her window, was non-committal about the photographs, insisting that images could be doctored. She did not want to give her name but could not believe the "horrible story" about someone she said she had "valued, respected and liked". That woman confirmed Anatoliy Chepiga was a "Hero of Russia", a title bestowed by the country's president. On Friday, Vladimir Putin's spokesman said he had "no information" about any such person being decorated. He declined to say whether that meant the award was for secret missions. The announcement, though, is still included on the webpage of a local veterans group. The group's leader told the BBC the information on Col Chepiga was sent to them for inclusion. No one there knew him personally. At the construction company the BBC Russian service believes was founded and run by Col Chepiga's father in the 1990s, staff would not speak to journalists. When we called a mobile phone number linked to the parents, a man picked up and claimed to be from Uzbekistan. He said he had bought the phone "on the street" three months ago from "a Russian". The line was then disconnected. Two weeks ago, President Putin himself said the suspects wanted by British police were civilians. Nothing special and nothing criminal, he said. On Friday, his spokesman told journalists that the Kremlin would not discuss any further what he called "informal investigations" into the poisoning. But the questions over Russia's explanations, and the true identity of the Salisbury suspects, are only mounting. Additional research by the BBC Russian service.